Fusarium head blight (FHB) is a serious disease affecting yield and quality of wheat and other important cereal crops across Canada. Breeding for resistance continues to be a key strategy in the fight against FHB, and research scientists like George Fedak are helping to lead the way. Fedak, who works at the Agriculture and Agri-Food Canada’s Ottawa Research and Development Centre, has been studying ways to boost resistance to FHB as well as leaf and stem rust in Ontario spring wheat. It’s part of a $25.2 million National Wheat Improvement Program funded by Growing Forward 2 and other industry partners such as the Western Grains Research Foundation and the Canadian Field Crop Research Alliance. The five-year program wrapped up in March. During the project, Fedak and his team developed germplasm for a number of resistant lines for use in wheat breeding programs. It’s hoped that new varieties will be commercially produced that reduce reliance on fungicides to combat FHB and leaf and stem rust – something that will benefit growers’ pocketbooks as well as the environment. “With resistance genes, the producer doesn’t have to use as much in the way of fungicides,” Fedak says. 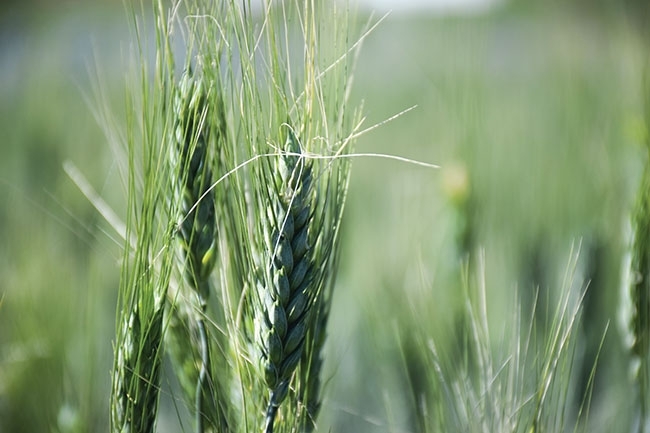 The germplasm developed by Fedak’s program was produced by crossing Ontario wheats with various wild relatives of wheat and other wild grasses to identify new genes for resistance to FHB and leaf and stem rust. “We transfer the genes from wild species into wheat, and this usually requires a lot of backcrossing and a lot of testing to make sure that we have retained the desired resistance,” Fedak says, adding that it also takes time to eliminate undesirable traits from wild species during the gene transfer process. Fedak, who first started researching FHB resistance in wheat 10 years ago, says his team opted to go for crosses with wild species as a way to broaden their search for desirable traits beyond the primary gene pool of wheat. They went to secondary gene pool, which are the immediate wild relatives of wheat, and also the tertiary gene pool, which includes wild grasses. The researchers identified FHB and leaf and stem rust resistant genes by relying on a technique called molecular mapping, which involves mapping the locations of resistant genes within the wheat chromosomes. According to Fedak, the use of molecular markers provides greater efficiency and precision when manipulating desirable genes in wheat. It allowed the researchers to create pyramids consisting of combinations of up to four resistance genes, which isn’t possible with conventional techniques. Germplasm for several FHB and leaf and stem rust resistant lines developed by Fedak’s research team have now been released and are currently being used by wheat breeders in Ontario and elsewhere to develop new resistant varieties. Fedak says he isn’t aware of any new wheat varieties on the market yet that are using germplasm produced by his program, but he’s not at all surprised given the prolonged nature of plant breeding. According to Fedak, inheritance of FHB resistance is complex and screening for it is complicated by environmental factors, so breeding for resistance has been relatively slow. He believes that despite the challenges, wheat breeders are making inroads, especially in the past 10 years or so. Fedak says a lot of resistance genes currently in use by Canadian wheat breeders have been developed by previous generations of plant breeders and geneticists. In addition, wheat breeders in Canada are able to rely on valuable work on germplasm development for FHB and leaf and stem rust disease resistance that’s taking place outside the country. Fedak believes he is one of the last geneticists in Canada doing this kind of work. 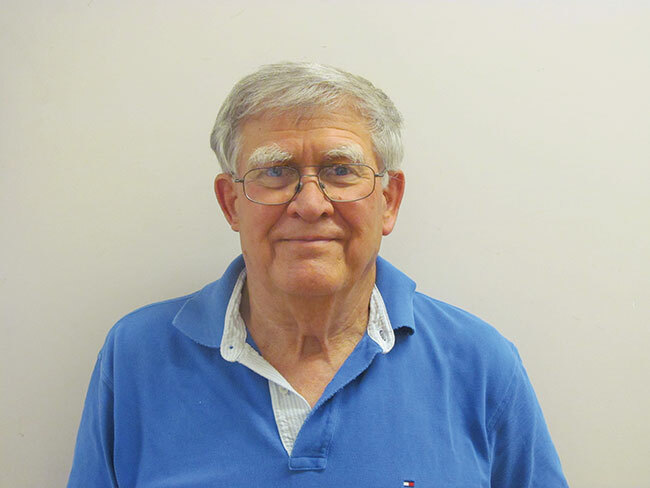 He is nearing retirement, and he’s hoping others will pick up where he’s left off.